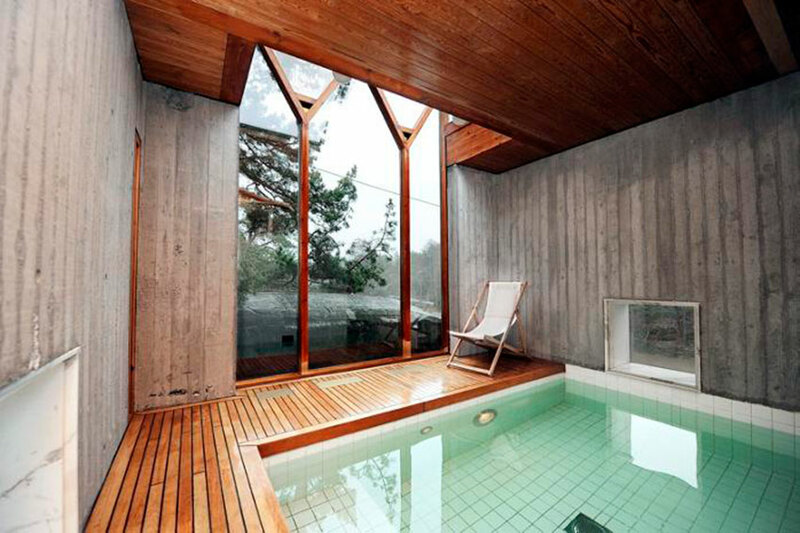 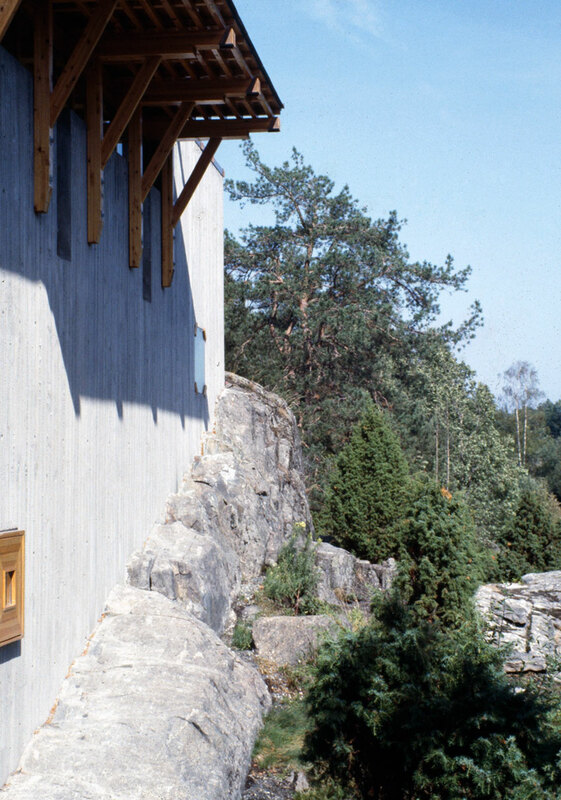 Villa Busk is a private residence designed by Sverre Fehn in 1990. 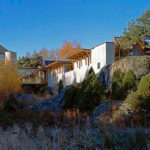 It was built in his native country and as many of his buildings, the house has a strong relation with the surrondings and blends modernity with regionalism. 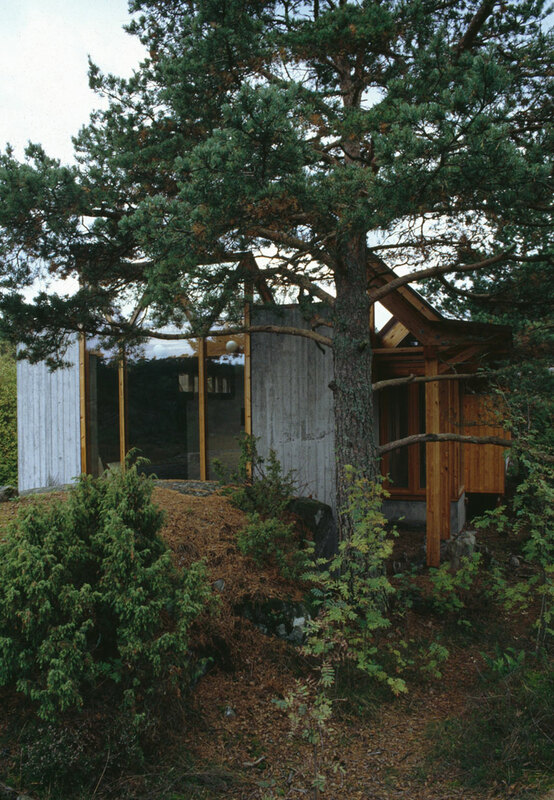 Much like Finland’s Alvar Aalto, Fehn’s buildings have a timelessness that arises from these qualities. 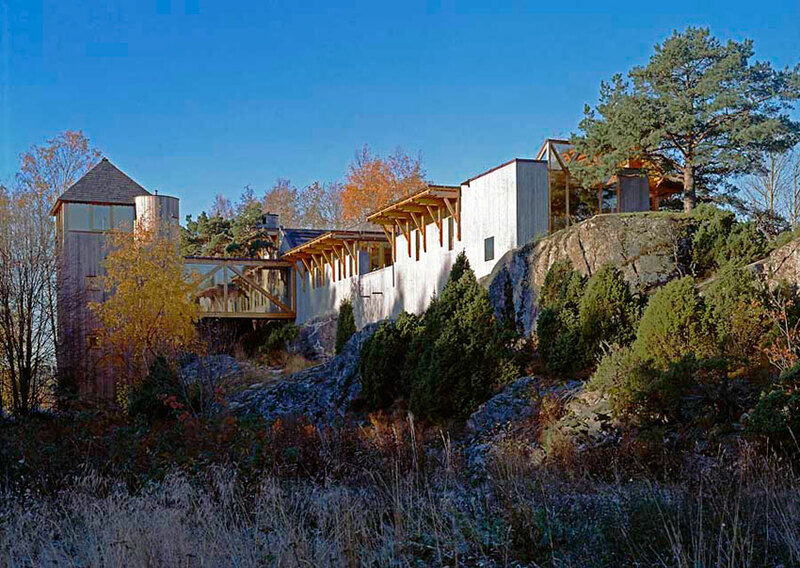 When the house was completed and the dramatic confrontation between nature and architecture had ceased…, I had the feeling of having dreamt of a trip yet to be taken. 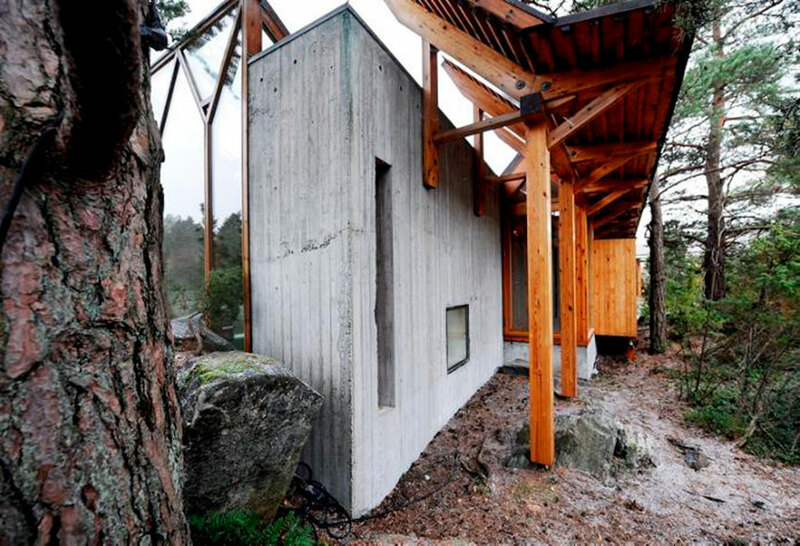 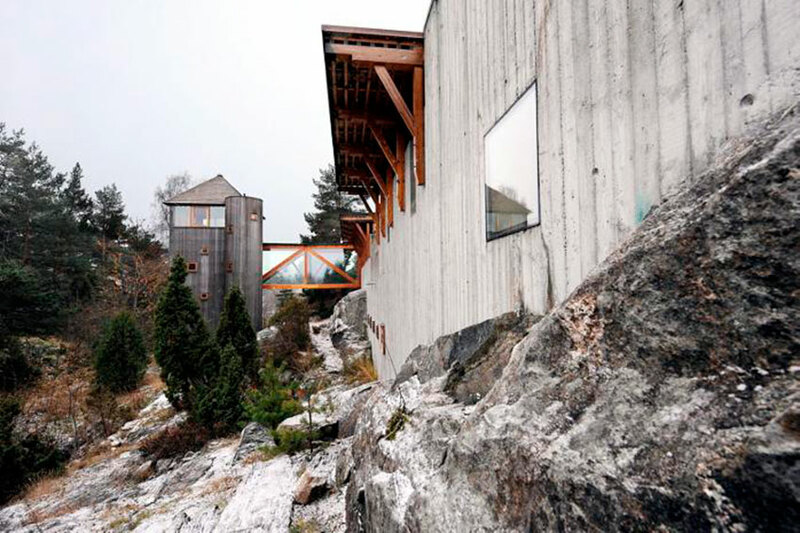 Villa Busk straddles a ridge, adjacent to a valley that runs to the nearby Oslo Fjord to the south and west. 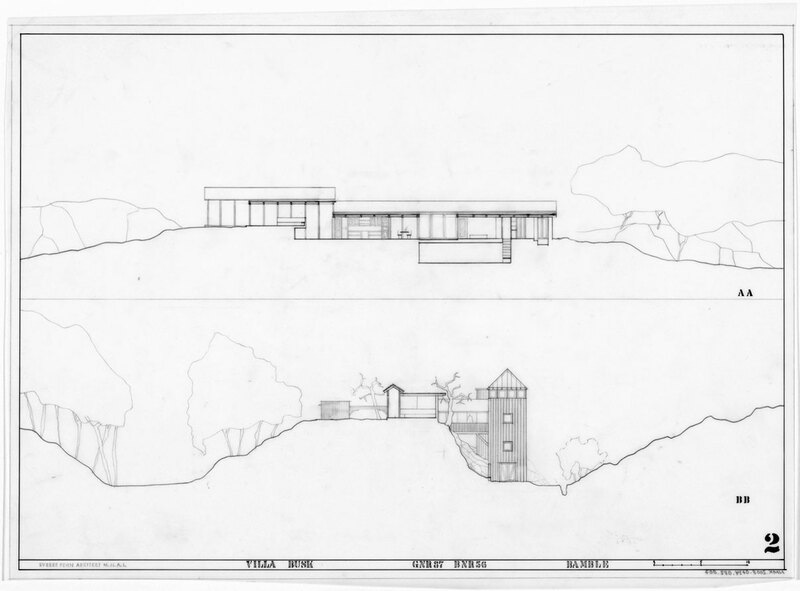 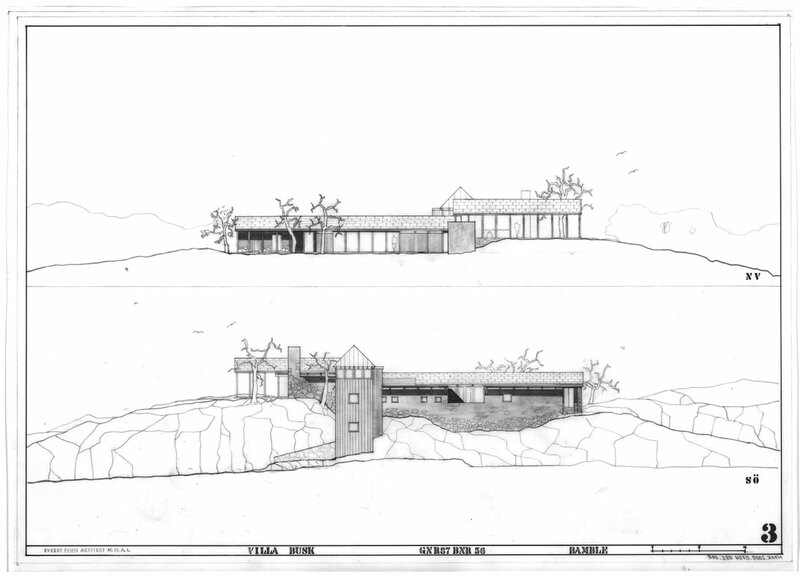 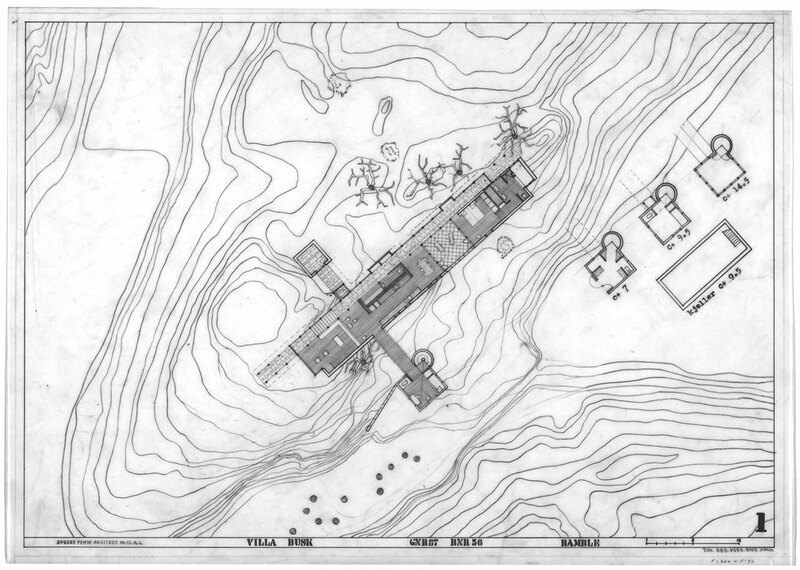 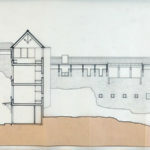 The plan is arranged along a linear spine, oriented east to west, rising to the latter end of the house, following the natural terrain (a tower and storage shed break from this linearity). 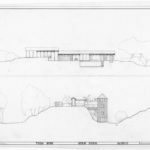 This gesture describes that main theme of the house and Fehn’s work in general: the strength of nature and man’s subordination to nature. 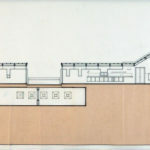 In the movement up the stairs to the living room, family members are kept aware of the ground upon which the house is built, as well as any ideological implications. 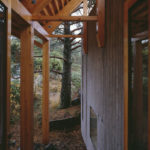 On the North side, facing toward the forest plateau, there runs a mostly glass and timber hallway the whole length of the residence. 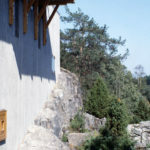 This path creates a double exterior wall, and a less defined sense of exterior and interior, especially felt when in the hallway itself. 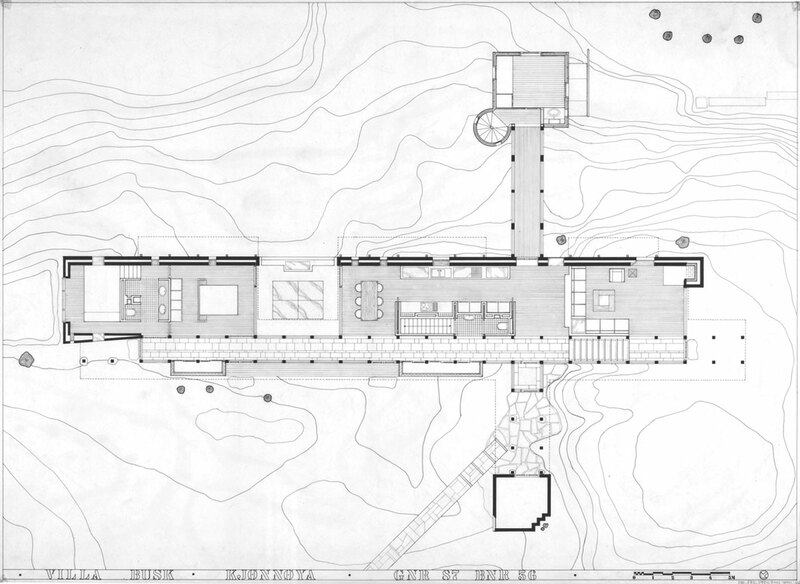 Combined with the atrium in the center of the plan, this dissolution of interior and exterior is heightened. 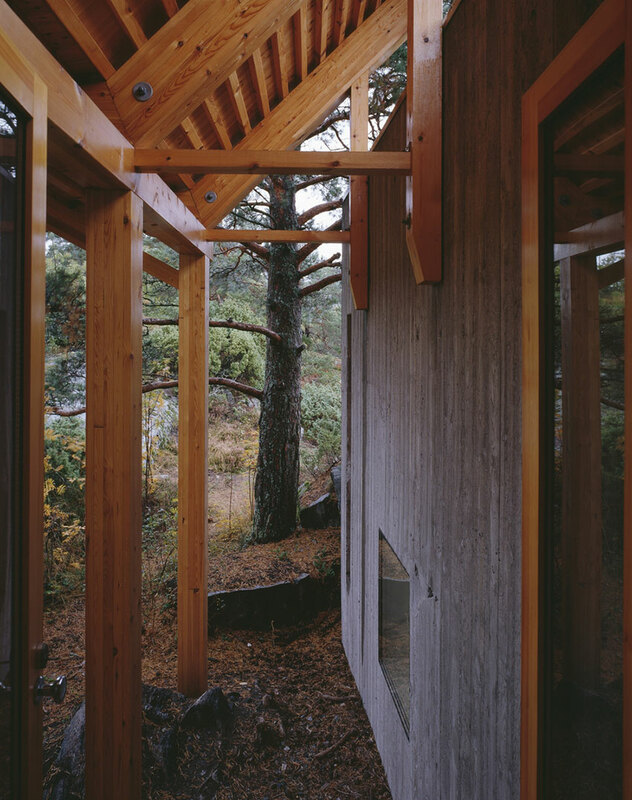 Functionally, this hallway path serves as the only circulation space in the plan and emphasizes the East West orientation of the central living space. 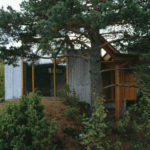 Cite this article: "Villa Busk / Sverre Fehn," in ArchEyes, July 20, 2016, http://archeyes.com/villa-busk-sverre-fehn/.